Born in the hills of California, IDYLLWILD is more than just a sunglass, it is a place of mind. Nestled in the San Jacinto Mountains, Idyllwild is known for majestic cedars and towering elevations that set its vistas apart and define it as an escape from the norm and a launch pad into the wild. From hiking to bouldering, camping to running, IDYLLWILD helps your weekends come to life! 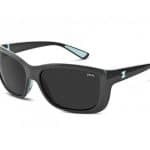 Using a proprietary triple injection molding method, IDYLLWILD stands alone as a leader in plant-based active sunglasses. The combination process allows for multiple layers of Z-Resin to come together, achieving a look and feel that allows fashionable colors to combine with the 8-Base wrap frame that an active sunglass demands. Coupled with embedded ProFlex rubber and a full coverage lens to provide maximum protection, IDYLLWILD is built to thrive outdoors.